The end of the year is approaching fast, and the hope is that everybody has been keeping up to date with the years’ work so far and fully understand the concepts that has been handled in class throughout the year. 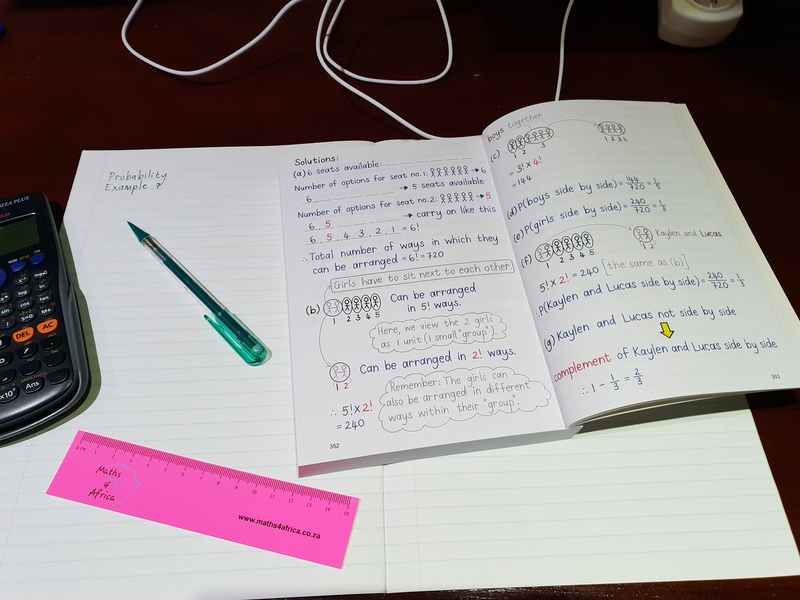 If you have not, and perhaps fallen behind in understanding some of the vital concepts, I would like to quickly discuss our range of mathematics study guides and explain how I feel they could assist during this final part of the year. Clever use of colors – The study guides make clever use of colors to direct the students attention to where it is required. Colors allow you to follow the steps and side notes are easy to connect to the correct step in the example. The study guides are available for Grade 10, 11 and 12, in both English and Afrikaans. Please visit our Study guides section on the website and visit each product page, click on the “Preview” button if you would like to see a preview of the books, or visit our Gallery page. I hope you will find them useful!